The benefits of exposing kids to books at a young age are clear. 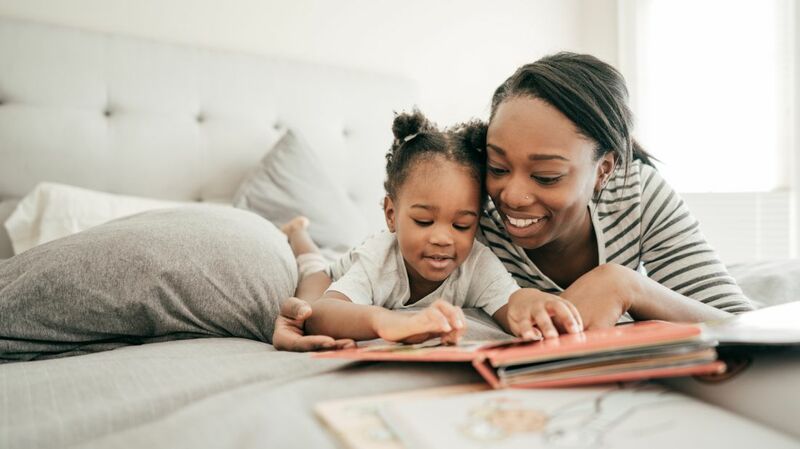 One study from 2018 found that reading out loud to kids improves their behavior, and according to a different study published that same year, children from homes filled with books grow up to have better reading comprehension skills. Now, new research suggests that not every type of book has the same impact. Reading out loud from physical print books, as opposed to reading words read off a screen, leads to richer interactions between parents and children, The New York Times reports. For a recent study published in the journal Pediatrics, University of Michigan researchers watched 37 parents read out loud to their toddlers. As subjects read the stories to their kids in three different formats—print book, digital book, and interactive digital book with sounds and animations—the researchers recorded their interactions to see how they varied from book to book. Books with with digital enhancements didn't necessarily enhance the reading experience. According to the study, the interactive features distracted kids and led to less real-world communication with their parents. But the fancy add-ons weren't the only reasons for the decline in quality reading time. Even when reading from no-frills e-books, parents had a harder time connecting to their kids. Physical books produced the most positive interactions by far. The researchers observed both parents and children making more comments about the story and engaging in more back-and-forth dialogue. Picture books are designed to be read out loud and shared by multiple readers. Tablets, on the other hand, are personal devices. Parents and children may be used to using electronic devices on their own, so when it comes time to read from one together, they may be less likely to share and collaborate. Reading from a physical page isn't just good for kids and parents. Print books can help older readers absorb more information, stay focused, and derive more enjoyment from the reading experience. Here are some more scientific benefits of reading the old-fashioned way.